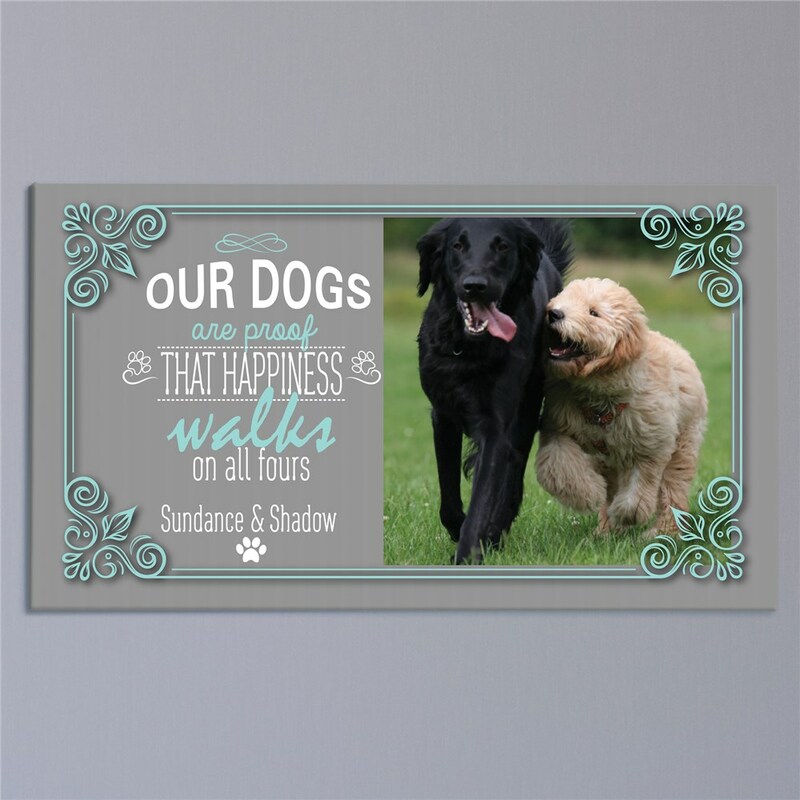 If your dog is just as much a part of the family as everyone else then this Personalized Happiness Walks Canvas is perfect for you. We will custom personalize these Pet Canvas Portraits with your choice of saying, a custom message line for the names and a photo. Makes a great gift for any pet lover!